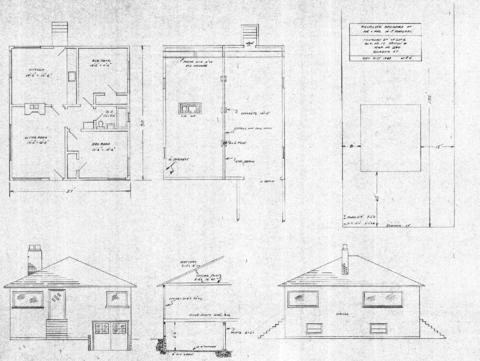 File 1-0325 - Proposed residence of Mr. & Mr. Koellmel, northern 50' of Lot 6, Blk. No. 17, Section 4, Map No. 240, Quadra St.
1 architectural drawing : blueprint ; 58 x 75 cm. Consists of architectural plan for building at 2533 Quadra Street.